This week, I did something I’ve never done before. I bought an item straight after seeing a Facebook ad. So what was it that hooked and converted me? It’s mid-winter and the football season. Thick, sticky, gritty mud cakes my football fanatic son’s boots, my car and even my house. If you’ve ever tried to wash the mud off football boots at home, you’ll know you’ll get it all over your sink, your kitchen and yourself in the process. So when a perfectly timed video ad for ‘Boot Buddy boot cleaner‘ appeared in my Facebook news feed, it was a no brainer for me to click through. It took just one view of a video that showed me how I (or my 13-year-old son) can clean football boots in less than a minute, to convert me. So what’s the lesson in this? To get your message to the right person at the right place and at the right time necessitates a genuine understanding of your customer. One way content marketers learn about their customers’ challenges and how they make decisions is by creating buyer personas. A buyer persona is a profile of your ideal customer. It aims to establish motivations for buying your product or service. To do this, it identifies what your buyer hopes to achieve. By the same token, it addresses any doubts it may have. Plus, how your buyer is likely to evaluate products/services like yours. What should go into a buyer persona? A summary of the buyer: (Working mother. Active family). Why do you need to create a buyer persona? It’s easy to create content around the subject you know best. But if you create content around the information your audience is seeking, you’re more likely to convert it into paying customers. Then you should know that research shows that websites created with the help of buyer personas are two to five times more effective than others. 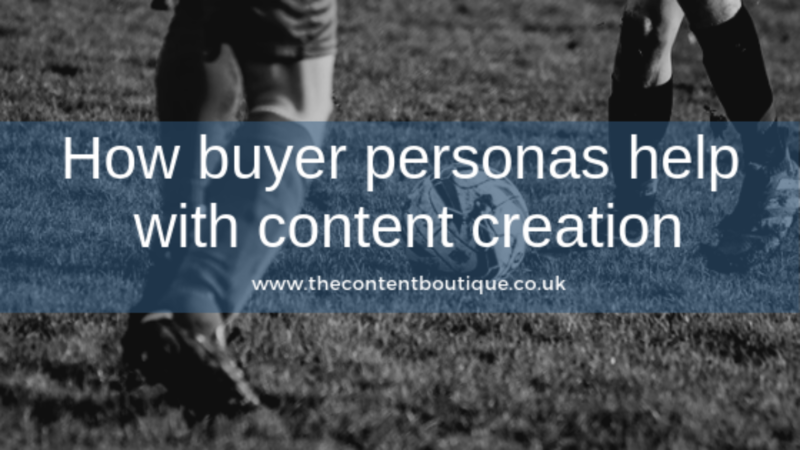 How can you use buyer personas in your marketing? Informational: Your audience is asking broad questions and looking to learn something. Transactional: Your audience intends to buy a specific product. Their search terms might include the words ‘buy’ and ‘purchase’. Navigational: Your audience has a clear intent. It is looking for specific websites and brands. Buying journeys are often not straightforward. Your customer will encounter various touchpoints en route. Buying personas help you to understand your audience and its motivations to interact with your business. As a result, just like Boot Buddy boot cleaner, you can get your message to the right person at the right place and at the right time. Instant hook and instant conversion. What could be better than that? If content creation is important to your business, but you still can’t find time to do it, you can always outsource it. Not only will you get it done, but you’ll also benefit from increased awareness, enquiries and sales. So drop me a line to get information about pricing.